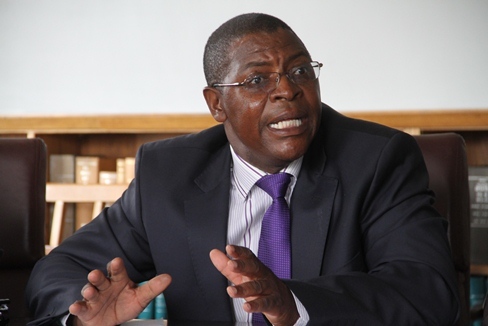 Professor Ncube’s BBC Interview: Can small opposition parties learn? As Zimbabwe heads towards the 2018 general elections, there is a certain degree of despondency among the long suffering Zimbabweans, thanks to the lack of progress in negotiations to build a coalition of opposition parties, which is believed to have the capacity to wrestle power from the faction, ridden ZANU PF. Despite the general consensus by various opposition parties that an alliance is the only way to go, it seems there is one sticking point as to who should lead the proposed coalition? However, the answer to this question is not so difficult if Professor Welshman Ncube’s words on BBC’s, Hard Talk are anything to go by. Just after the interview, prominent political analysts who also subscribe to the formation of a coalition against President Mugabe were quick to laud the Professor as a “mature” politician. He conceded that this worked against the opposition particularly the MDC- T which was denied its way to the State House in the first round of the 2008 Presidential election. The most important aspect of the former Minister of Commerce’s recent interview is that he knows who should be the leader of the envisaged coalition. “What is important too is that when we agree on that particular candidate we must all do so unconditionally and rally behind that candidate if we are to have a fighting chance of dislodging Mugabe from power,” he said. He said in his opinion that the coalition has to be one with potential and capacity to rally and motivate the electorate to defeat the Mugabe regime. Without saying that Tsvangirai is an automatic leader of the envisaged alliance he admits that the former Premier is the only one who has previously beaten Mugabe in an election. In this regard the message by the Professor must be taken seriously by other small political parties particularly People’s Democratic Party (PDP) led by Tendai Biti and Joyce Mujuru’s National People’s Party (NPP). Mujuru and her cronies have of late been trying to use her liberation war credentials and her experience as deputy to Mugabe as a trump card to influence her stewardship of the proposed alliance, discrediting Tsvangirai at the same time as a political spent force. Their argument is Tsvangirai has in almost two decades failed to dislodge Mugabe. Biti on the other hand seems to be also eyeing the front seat, and knows Tsvangirai’s weaknesses since their days together at MDC. He thinks maybe being the most successful Minister of Finance in the Inclusive Government has given him the required popularity to lead the coalition. Whilst those in the Mujuru camp have their own reservations on Tsvangirai they should be reminded that the electorate is aware of the fact that they were part of the system that destroyed the once promising economy. Despite becoming critics of the government now the electorate has not forgiven them for that. Biti’s chances of leading the coalition are not high given his acrimonious departure from the MDC and it made him unpopular with suspicion that he was a Zanu PF project. In all these proposals none of the political parties save for Mujuru have tasted the electoral waters. Like Welshman Ncube the leaders of these other small opposition political parties must come to terms with the reality that no other political player can lead the coalition and manage to defeat ZANU PF. Tsvangirai, despite his past failures, remains the magnetic force in the opposition who can actually give the ruling party a run for its money if is elected to lead the alliance. For anyone other than Tsvangirai to lead the coalition in 2018 it would spell doom for the people of Zimbabwe as Zanu Pf would easily win. Already Zanu PF is mobilizing voters under the Presidential Youth Interface Rallies which have taken President Mugabe to three provinces. A serious leader must lead the alliance or else history will repeat itself.